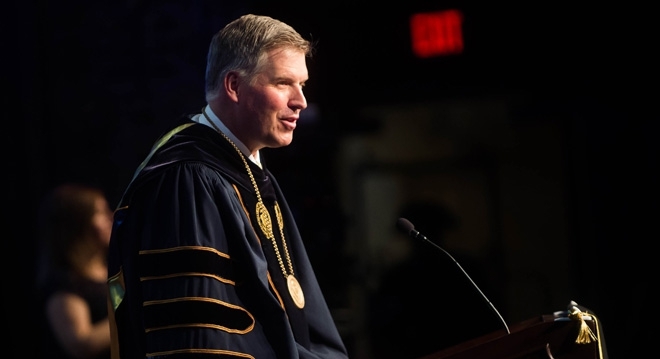 As the University of Pittsburgh’s 18th chancellor, Patrick Gallagher directs one of the nation’s premier public institutions for higher education and research. In this role, Gallagher oversees a community of more than 34,000 students at five distinct campuses. He also supports the work of more than 13,000 faculty and staff members who are committed to advancing the University’s legacy of academic excellence, community service and research innovation. Under his leadership, Pitt has strengthened its status as one of the nation’s premier public institutions for higher education and research, including being named the top public university in the Northeast by The Wall Street Journal and Times Higher Education. Prior to his installation at Pitt, Gallagher spent more than two decades in public service. In 2009, President Barack Obama appointed him to direct the National Institute of Standards and Technology. While in this role, Gallagher also served as acting deputy secretary of commerce before leaving for Pitt in the summer of 2014. Today, Gallagher serves as the chair of Internet2 and is active on a number of boards and forums, including the NCAA Division I Presidential Forum and the Allegheny Conference on Community Development. He has also completed terms on a wide range of community boards and committees, including President Obama’s 12-person Commission on Enhancing National Cybersecurity in 2016. Gallagher holds a PhD in physics from Pitt and a bachelor’s degree in physics and philosophy from Benedictine College in Kansas. Learn how to place a request for Chancellor Gallagher to speak at your event. Each year, the chancellor recognizes the talents and dedication of faculty and staff members as well as outstanding University contributions to innovation and diversity. 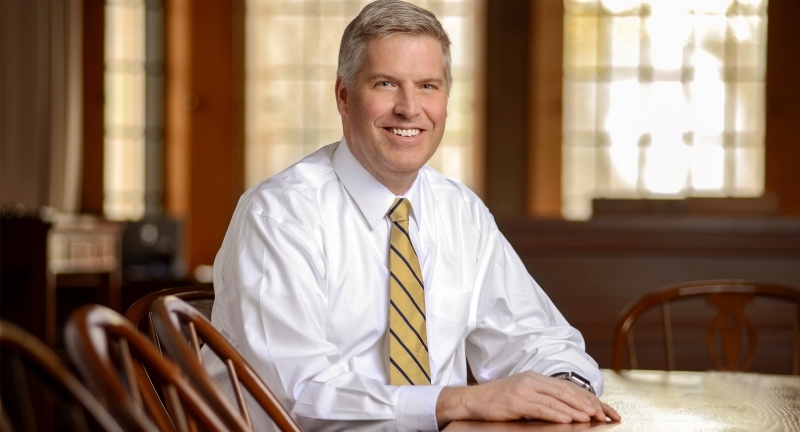 Patrick Gallagher is the University of Pittsburgh’s 18th chancellor. 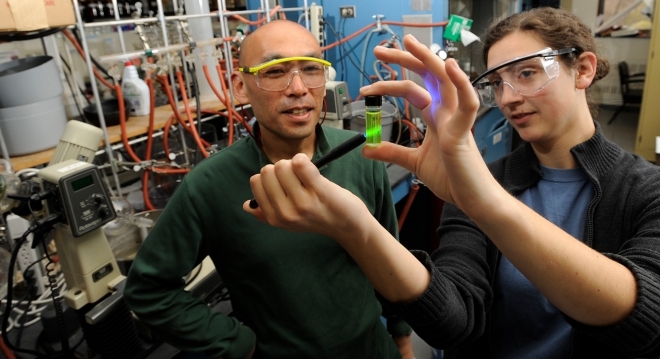 His predecessors helped guide Pitt’s course from a frontier school to a top 100 global research university.